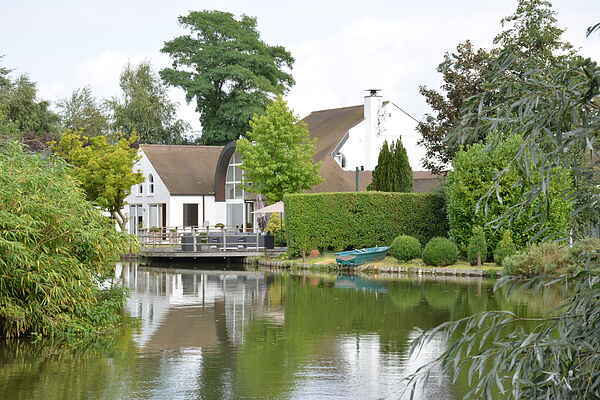 In a small village near Ypres and Lille, this magnificent property offers you a luxurious stay of relaxation. The 1.6 hectare garden, very neat and with a beautiful pond, guarantees total tranquility and a lot of romance. A boat is at your disposal to move on the pond (be careful to watch the children!) Inside, a pool, a billard, a playroom for the little ones, a jacuzzi, and fitness equipment also ensure your relaxation. Two bedrooms have a beautiful balcony overlooking the pond. The living room is very cozy: it unfolds around a huge open fire, and contains a grand piano. A particularly comfortable sofa can take full advantage of the large TV. The kitchen, hi-tech, and the dining room are particularly pleasant: they have been arranged in a very large room, very bright thanks to large windows. In addition to the terrace to enjoy the barbecue, an outdoor lounge was built on the pond. A dream villa for unforgettable stays ! The house is intended for 14 people maximum: it is strictly forbidden to house more than 14 people. We have endeavored to provide you with a house of high standing and neat: that is why we ask you to be particularly careful to respect carefully the house and its garden. Any damage will be deducted from the deposit. Thanks for your understanding.